Chebika is close to the town of Tamerza, in the Djerid region of south west Tunisia. It lies just a couple of miles from the border with Algeria. It is a small mountain oasis town surrounded by a dry and arid desert region, just north of the salt lakes or Chotts. 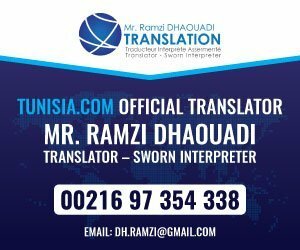 It can be reached by driving along route 3 from Kairouan to Metlaoui, then following minor roads from El Hamma du Jerid past the Chott El Gharsa for about 24km (15 miles). Chebika is usually reached first, en route to Mides and Tamerza. It is probably the least famous of these oasis towns yet it is the most dramatic with its rugged rocks and steep-sided ravines. Chebika lies at the foot of the mountains of the Djebel el Negueb and is so exposed to the sun that is known as Qasr el-Shams, which means Castle of the Sun. 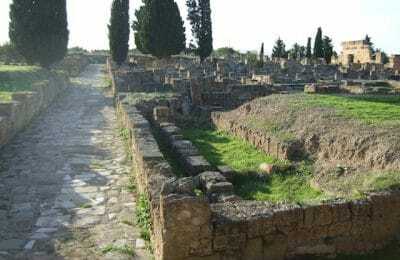 It was once a Roman outpost, called ‘Ad Speculum’ and was a mountain refuge of the Berber people. The local train, runs from Gabes to Tozeur during the summer months, stopping at the superb Gorges at Selja. Despite its remote desert location, Chebika still receives plenty of tourists to see the impressive collection of rock formations, waterfalls and steep narrow gorge. Most visitors arrive on organized tours or in 4-wheel drive vehicles, although the road is good enough for normal cars. The scenery is quite impressive with many jagged pink-colored rock formations. The palm trees in the ravine thrive where their roots have found a water source. The gorge itself is stepped in terraces to enable visitors to explore the rocks and caves. A footpath leads down to an amazing pool of azure water with an attractive waterfall which cascades down to a small stream. The gorge was originally formed by a source of water which carved these amazing natural formations and created a natural mountain oasis. All that is now left is the small stream which runs out of the rocks near the old settlement. On arrival at Chebika, visitors first see the new village and the tourist shops which sell locally made carpets and other souvenirs. These mark the beginning of the oasis walk. The mountain then seems to divide with the stream flowing at the bottom of the ravine and huge palm trees crowding into the bottom of the gorge creating welcome shade. The well-made path leads along to the waterfall and the source of the stream. Chebika old town is now just ruins. The surviving brick and mud built walls show the typical Saharan architecture and layout of each home, now abandoned. The newly built village consists of several hundred people all who rely on this modest water supply. In the summer it is quite depleted, but in the winter months the spring is far more productive and impressive, with water gushing out of the rocks. 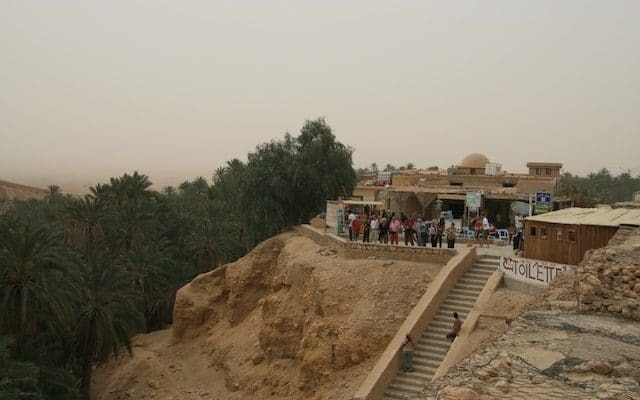 Facilities for tourists at Chebika are almost non-existent. There is a restaurant which caters for tourists at the waterfalls. The nearest hotel is the Tamerza Palace Hotel in Tamerza which is a few miles further north and has excellent facilities.